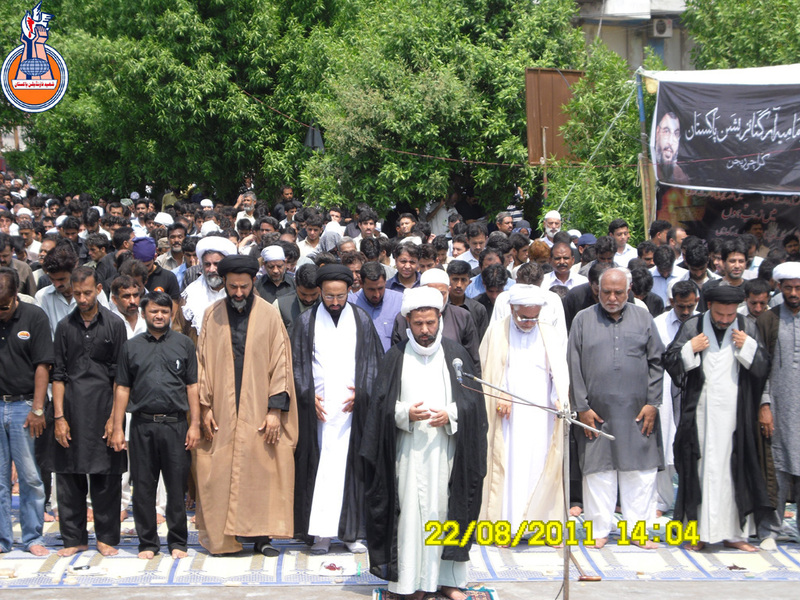 21st day of Ramadan, martyrdom anniversary of Mola-e-Kainaat Ali Ibn-e-Abi Talib (a.s) was commemorated across the world with reverence and religious fervour. 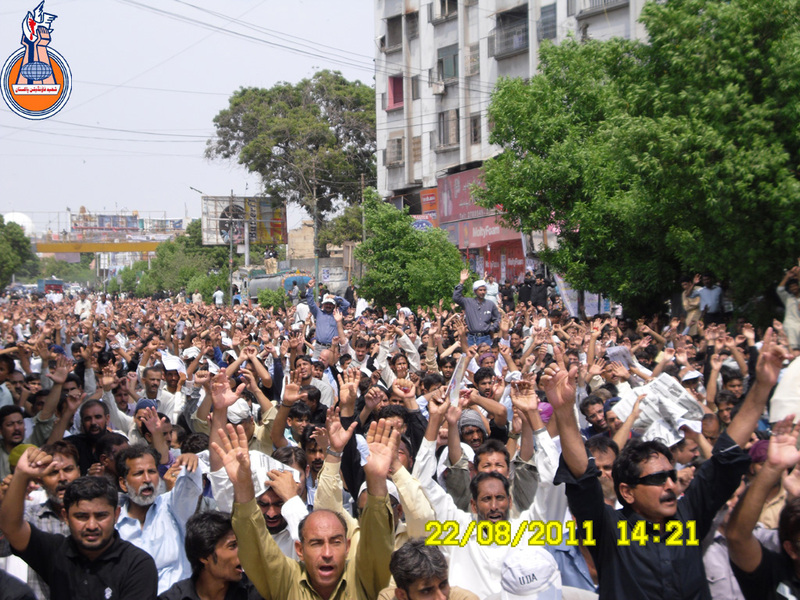 In Pakistan mourning processions were taken out in huge numbers right across the country, including the four provincial capitals. 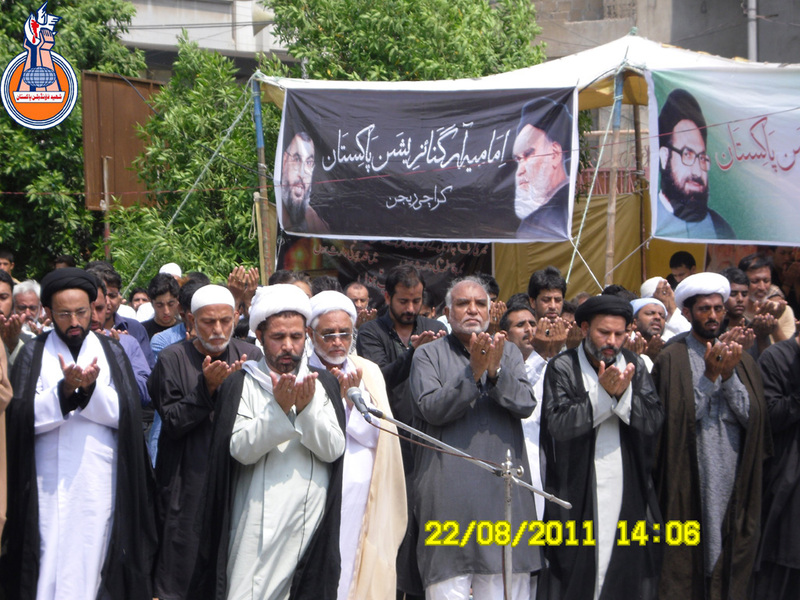 Maraasim-e-Azadari had started from the morning of 19th Ramadhan the day when Maula Ali was attacked by the cursed ibne muljim ,in all Imambargahs and Hosseiniyehs across Pakistan ,where Ulema-e-Karam and Zakireen shed light on the seerat of Maula Ali (AS) ,the way his rights to vicegerency were trampled upon and the extreme restraint he exercised ,in order to preserve the muslim unity, against the most heinous crimes committed against him and Khanwada-e-Nubuwwat (SAWW). 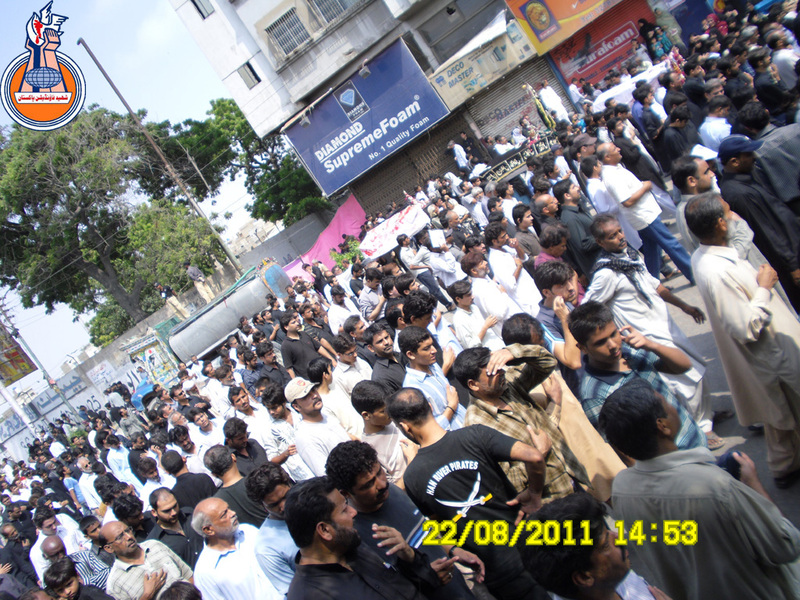 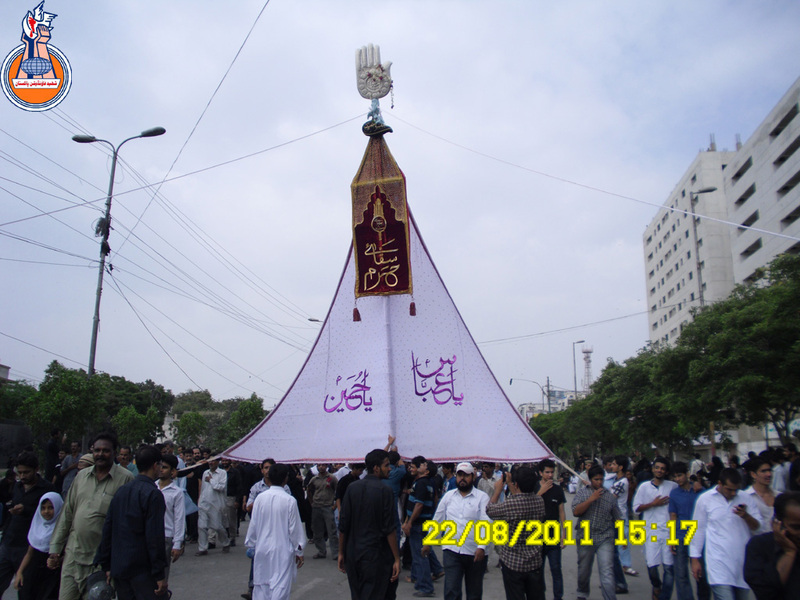 Every year ,a mourning procession is organized in Karachi from Nashtar Park to Hussainian Iranian through M.A Jinnah road on the eve of Yaum-e-Ali (AS). 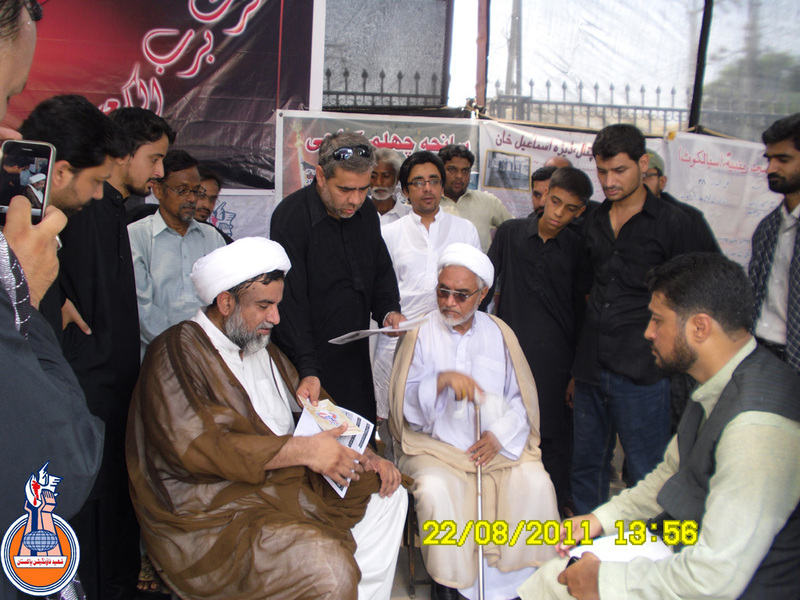 In the same way this year a Majlis-e-Aza was organized at 11:30 A.M and speaker Molana Raja Nasir Abbas J paid glowing tributes to the Commander of Faithful, Hazrat Ali (AS), the Lion of Allah. 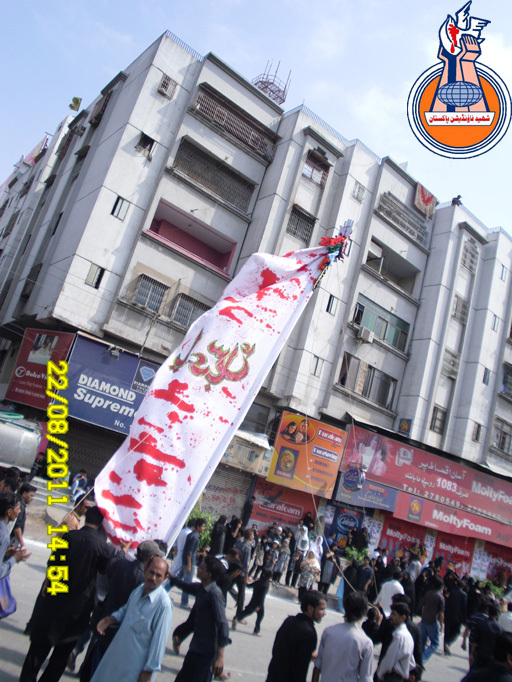 He ended the Masjlis by expressing the feelings of Muslim Ummah about Hayder-e-Karrar (A.S). 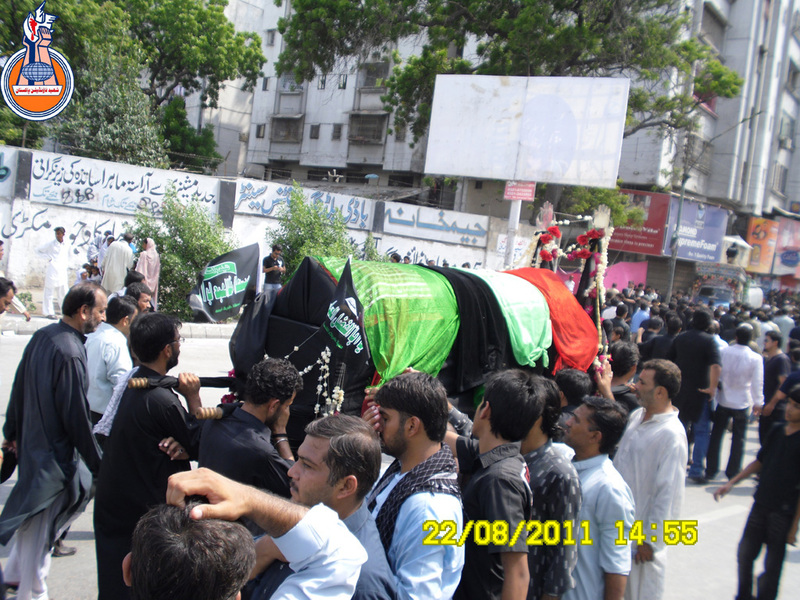 After Majlis e Aza , traditional mourning procession was taken out from Nashtar park with various Shabih of Alam,Zuljanah, Taboot and Ziyaarat. 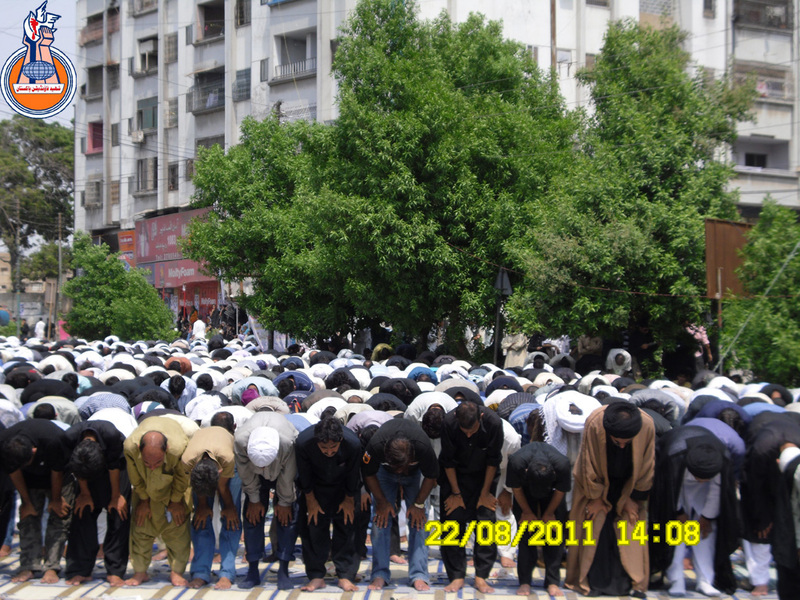 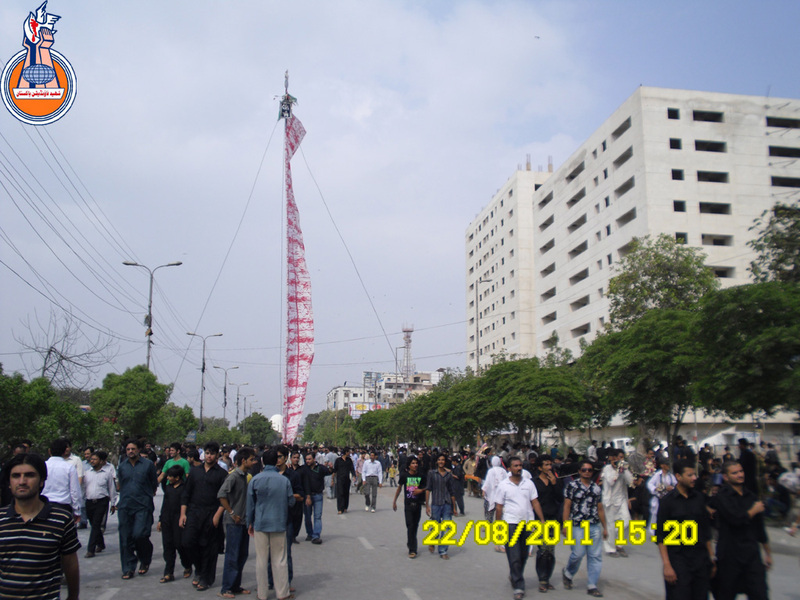 At 2pm the participants of Juloos-e-Aza, congregated for Zohrain near Masjid-e-imambargah Ali Raza (a.s) on M.A Jinnah road. 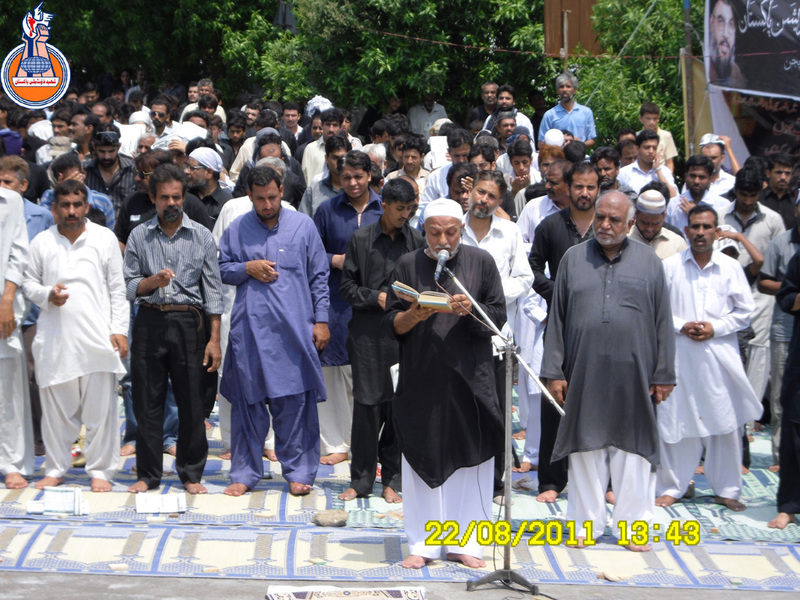 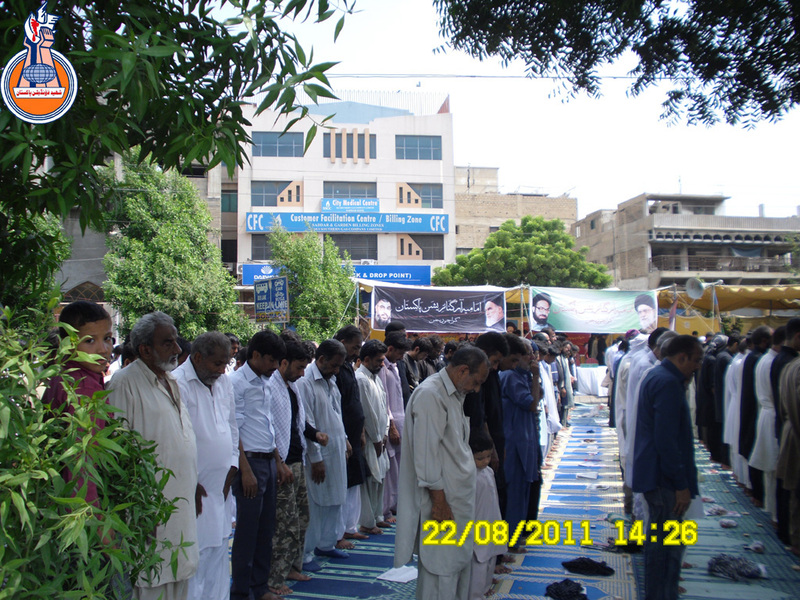 The prayers were organized by Imamia Students Organization and led by Maulana Abbas Wazeeri. 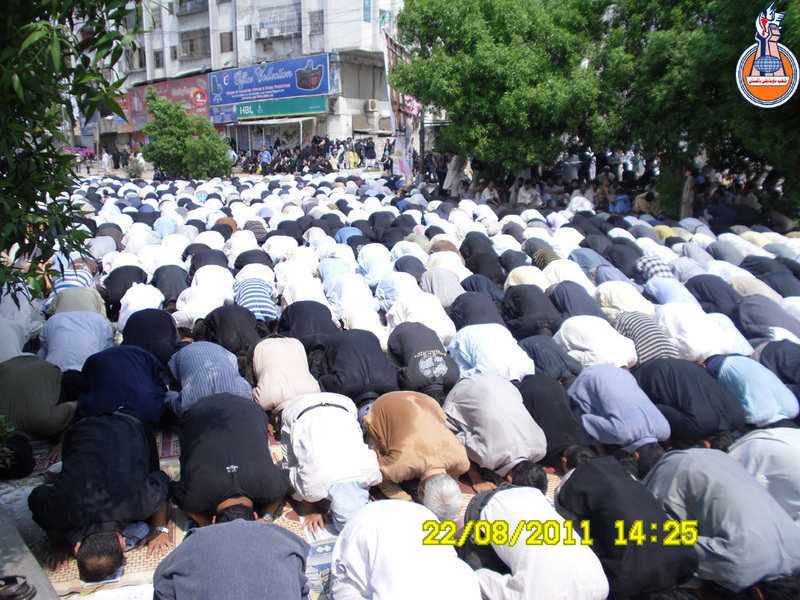 The prayers were followed by an enthusiastic speech. 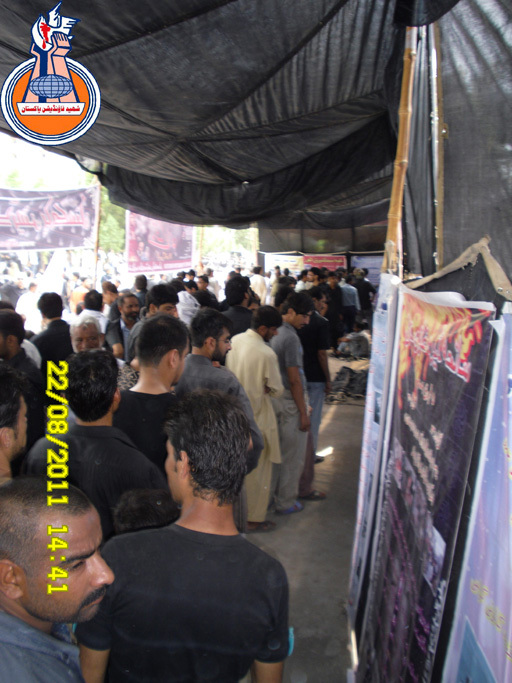 Momineen responded well by chanting slogans like Labbayk ya Hussain (a.s) and "Death to America". 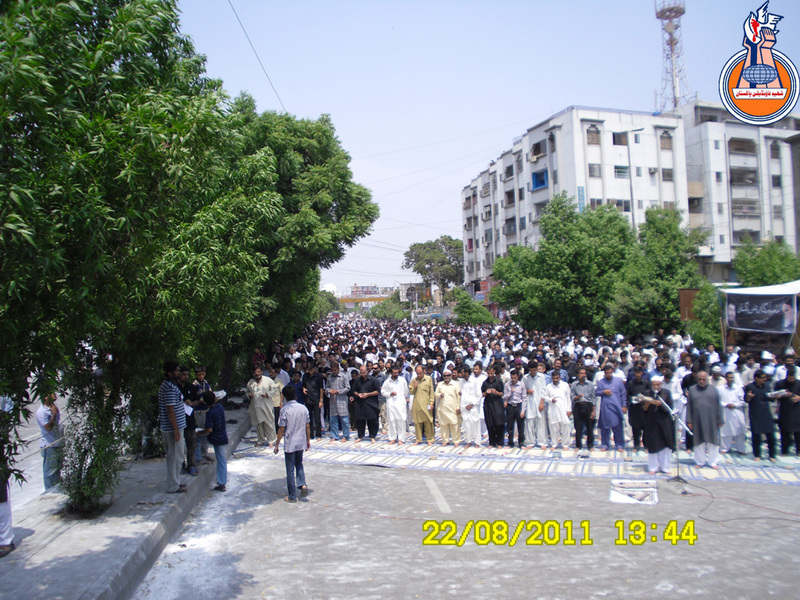 Despite all the odds and really dismal law and order situation momineen turned out in huge numbers to attend the mourning procession and most of them preferring to walk through ,to the end of juloos at Kharadar ,which usually is not the case ,when the law and order situation is better. 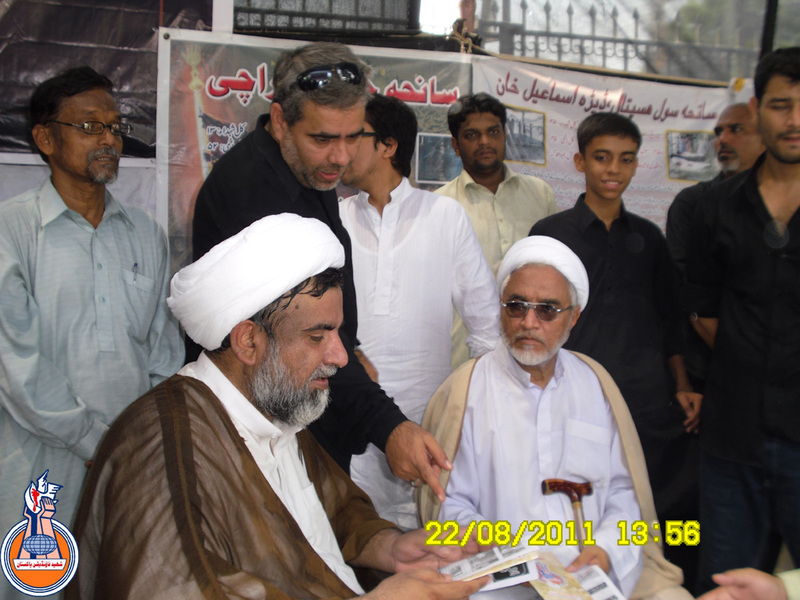 This is something which is a very common known and accepted , about the millat-e-jaffarias bravery and resolute will . 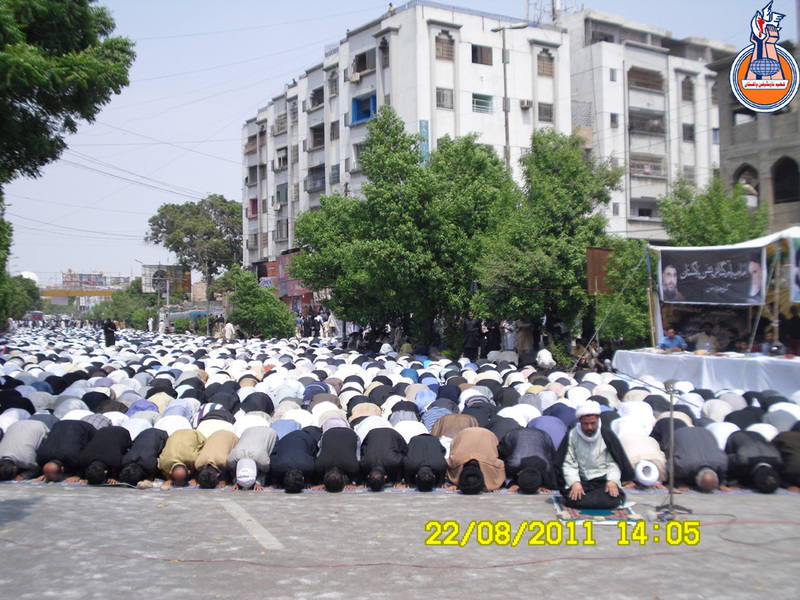 Last year ,on the eve of same 21 Ramazan Juloos three blasts ripped off through the heart of juloos in Lahore in moments of Aftaar and dozens of momineen were martyred and many more were injured. 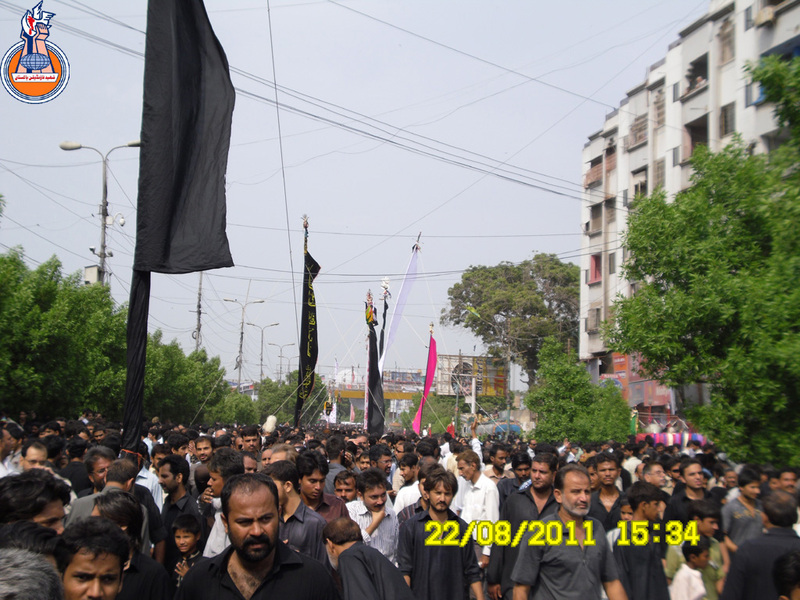 Similarly in Karachi , the tail end of juloos last year came under intense gun fire from yazeedi forces as it was entring the saddar area. 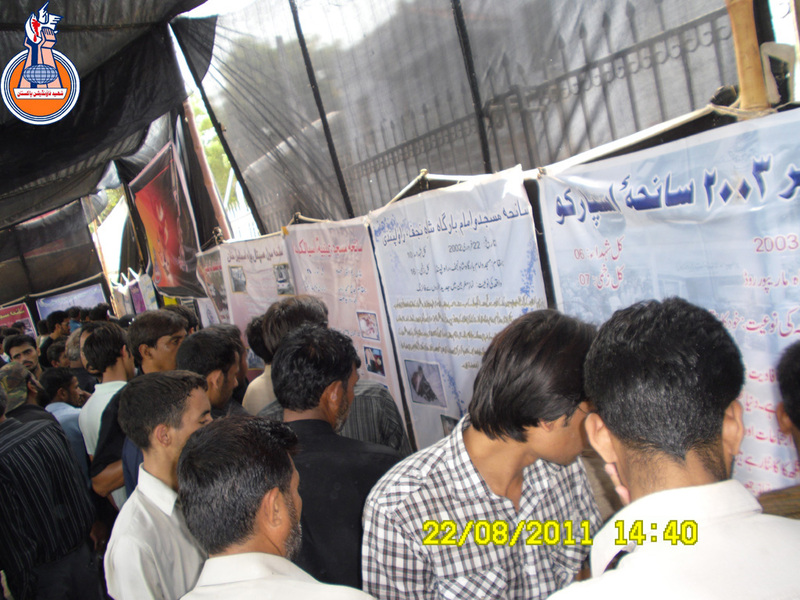 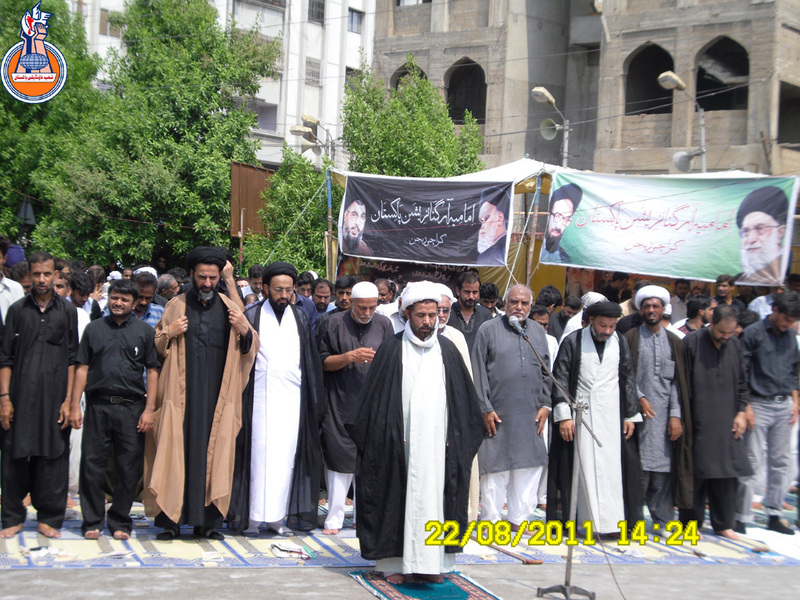 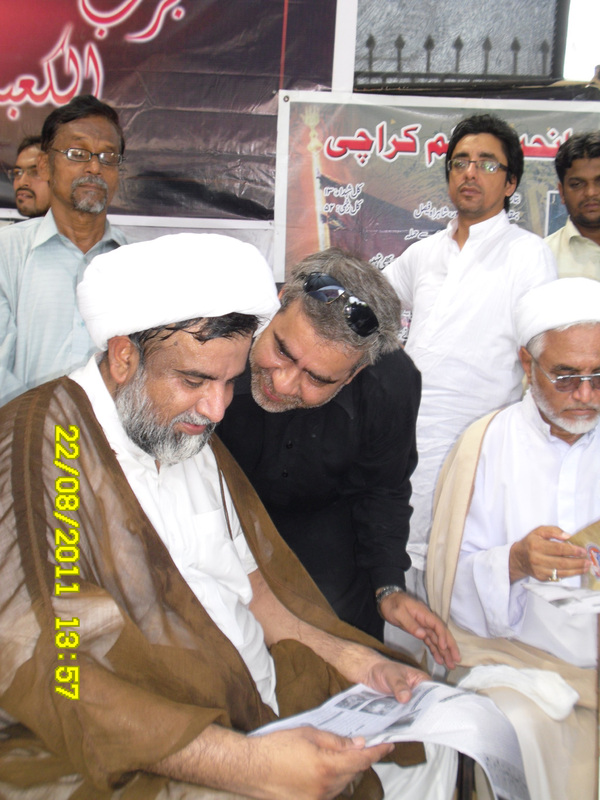 Similarly in Quetta last year ,in the sacred month of Ramadhan , a handful of brothers who had converged to commemorate the Qods day came under gun and bomb attack ,evidence later confirmed that many momineen embraced martyrdom,due to the in-discriminate firing of the deployed law enforcing agencies. 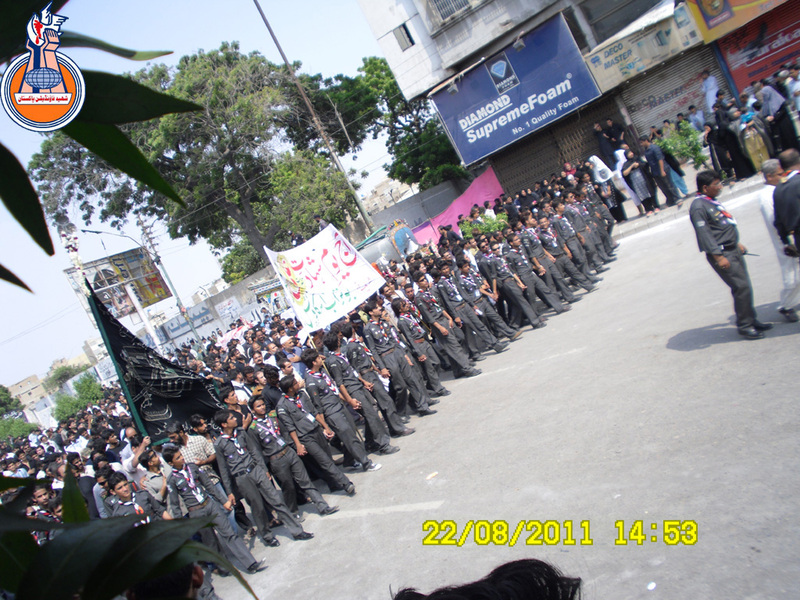 Various scouts groups of Millat-e-Jaffaria Pakistan made excellent arrangements on this occasion to maintain the order and discipline within the Juloos as well as timing it accurately well. 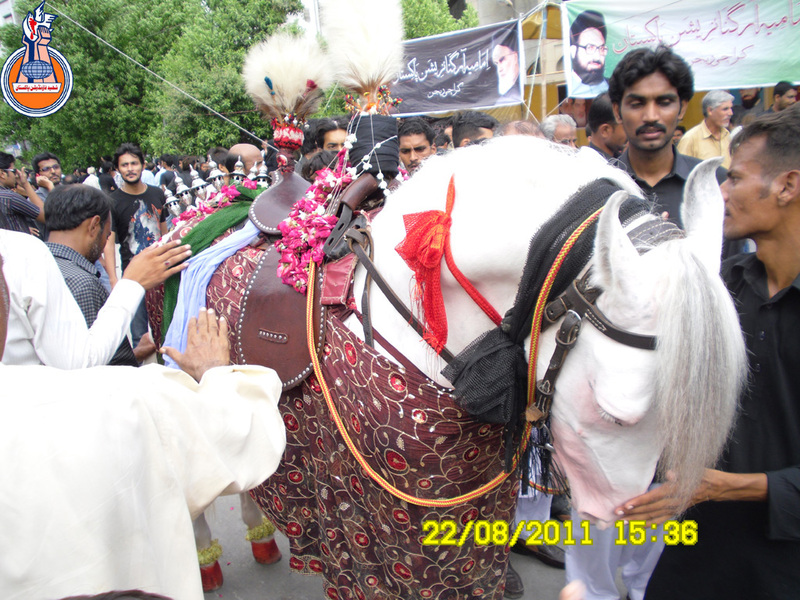 Noha Khwans ,Anjumans and Zakireens from a different areas of Karachi paid rich homage to the Martyred leader of Momineen Maula Ali Ibn-e-Abi Talib in traditional manner. 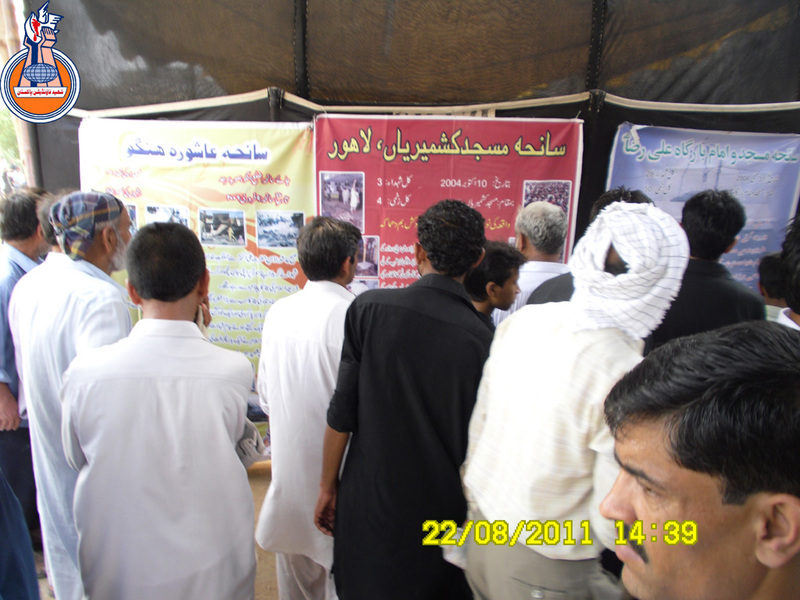 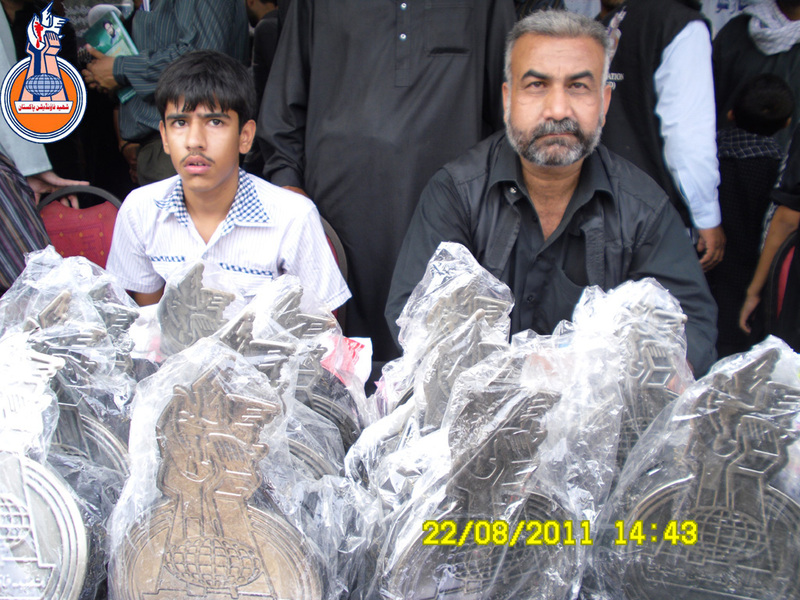 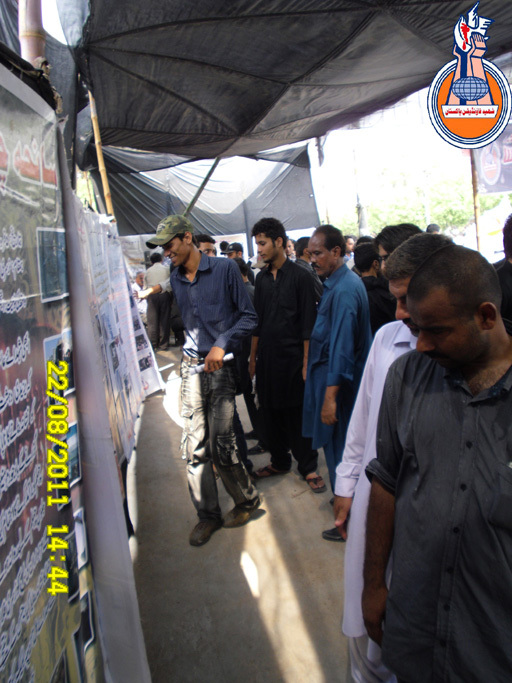 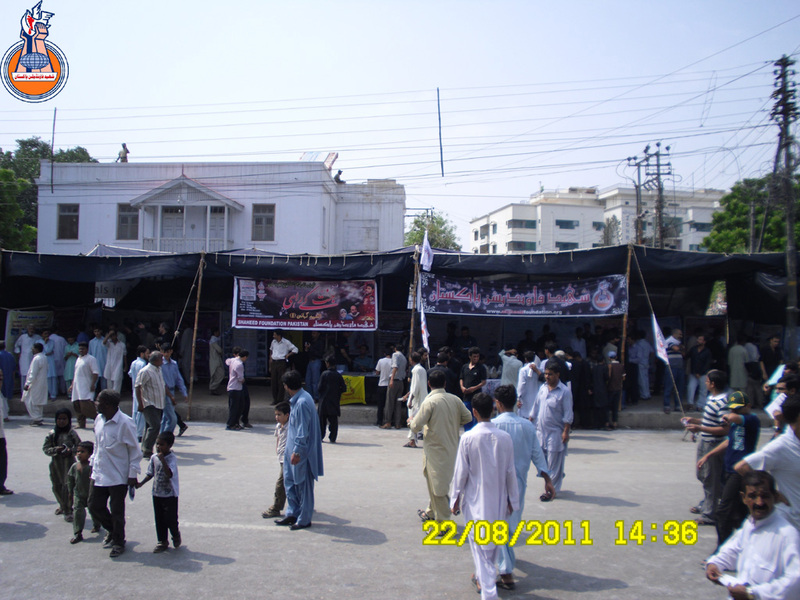 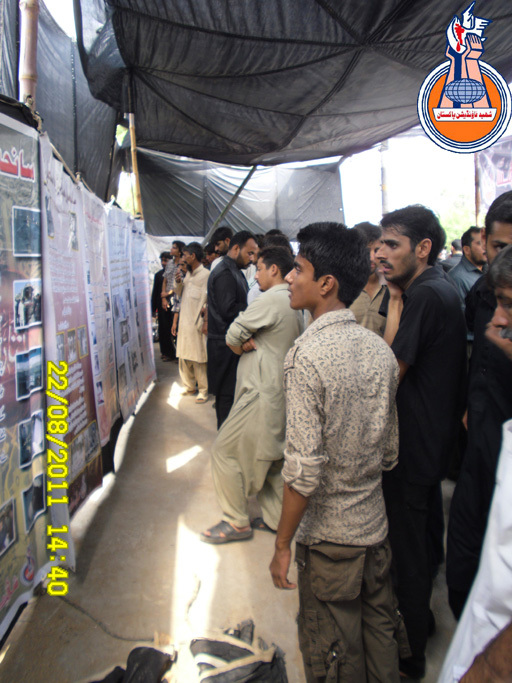 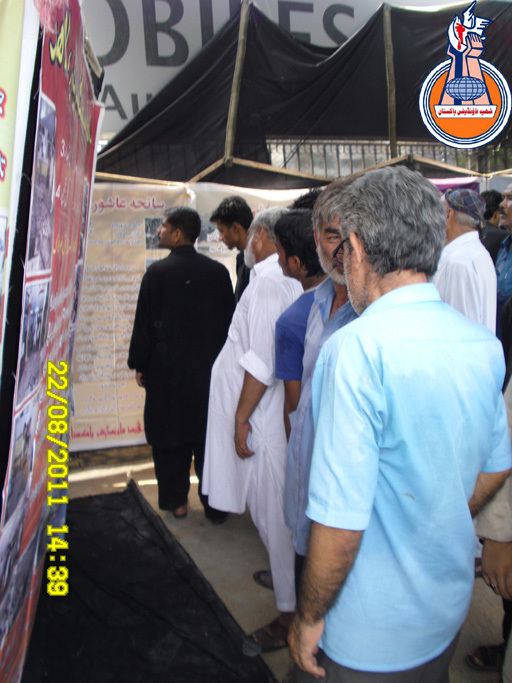 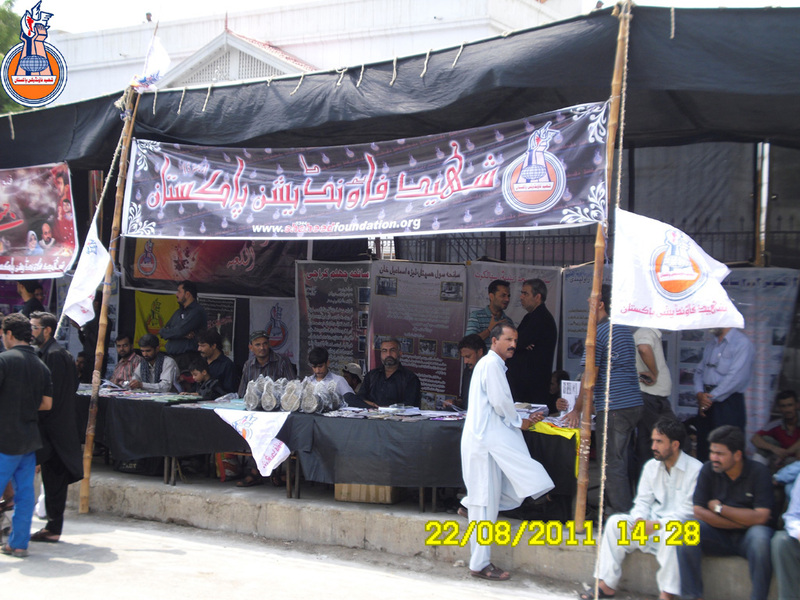 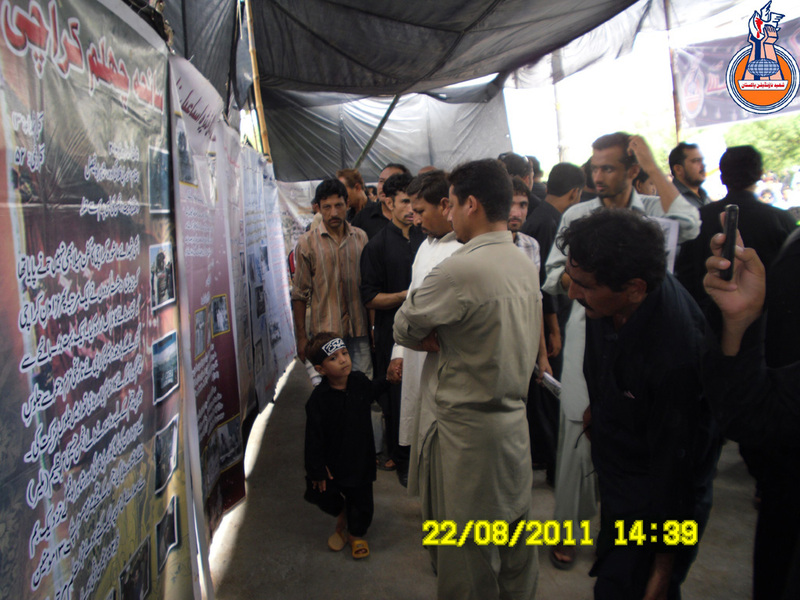 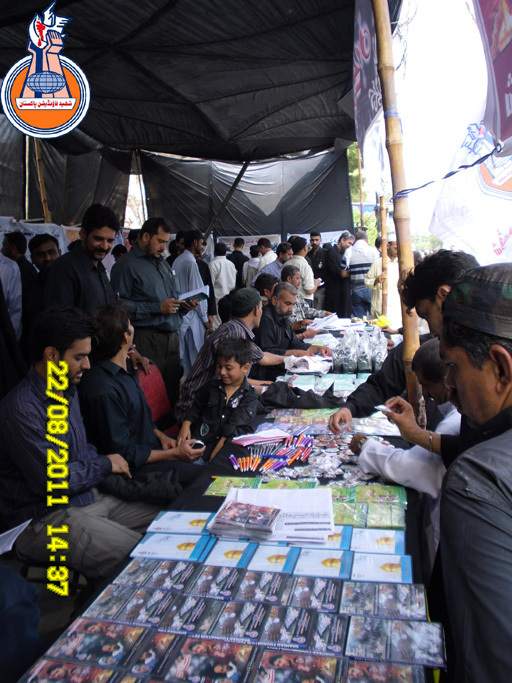 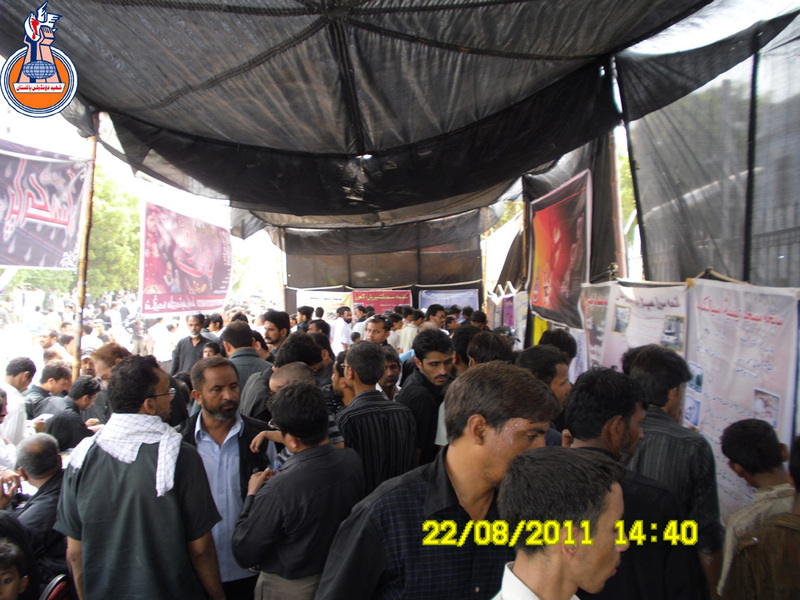 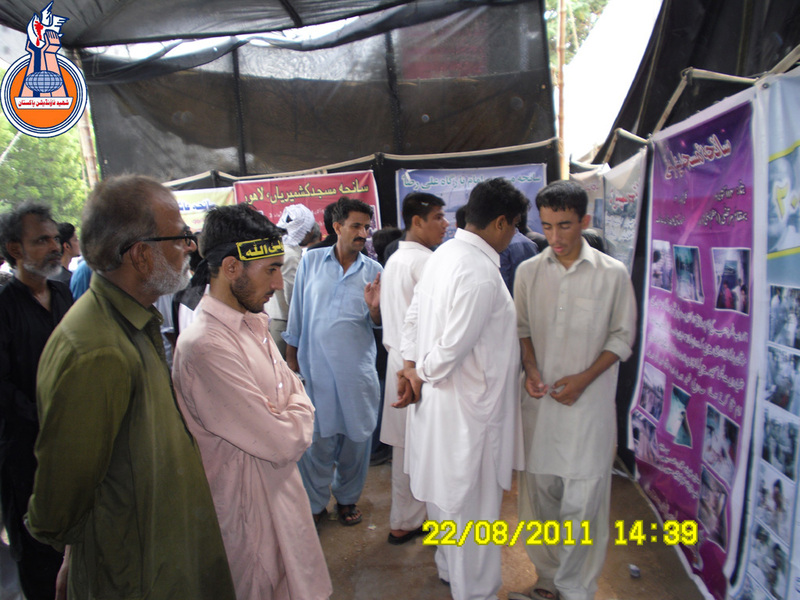 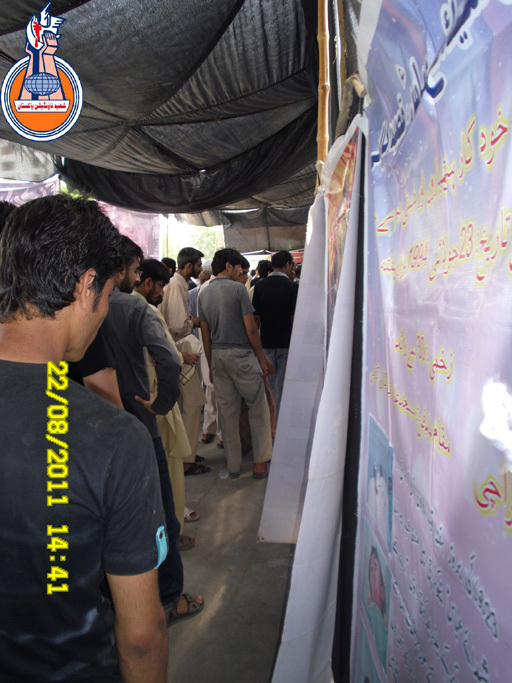 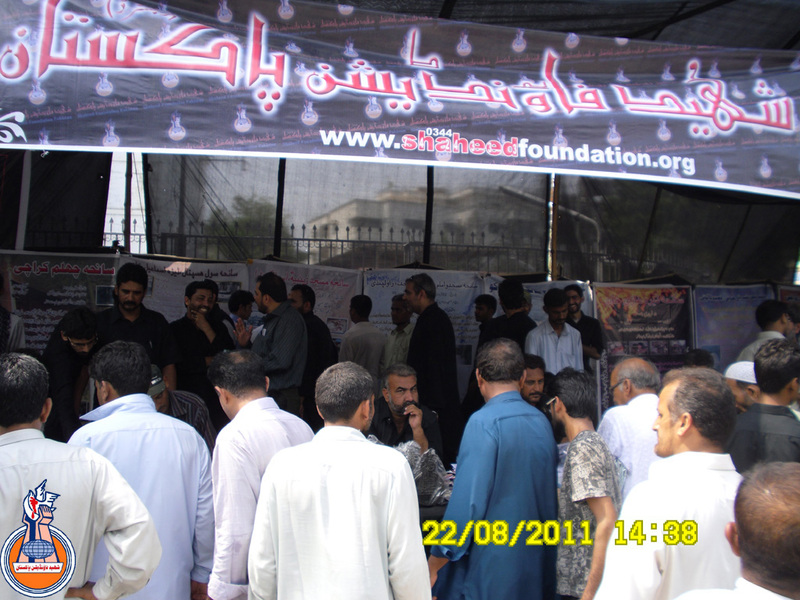 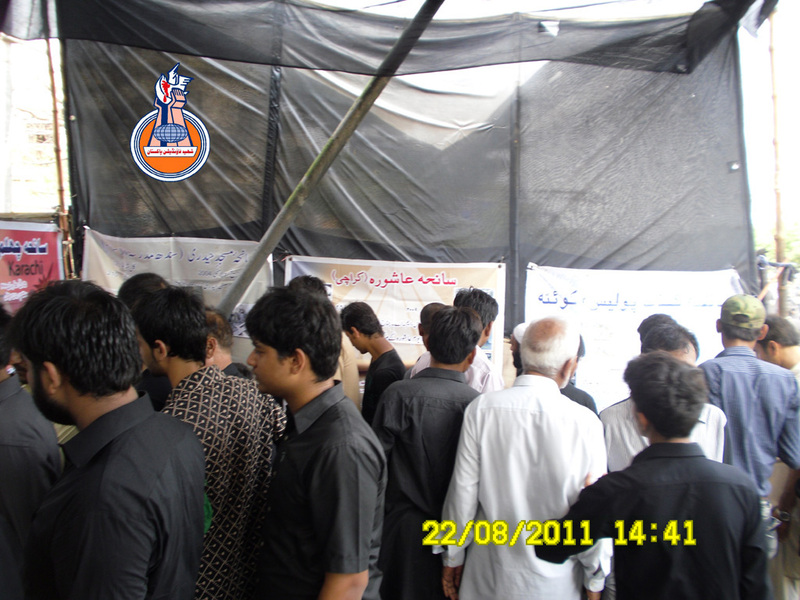 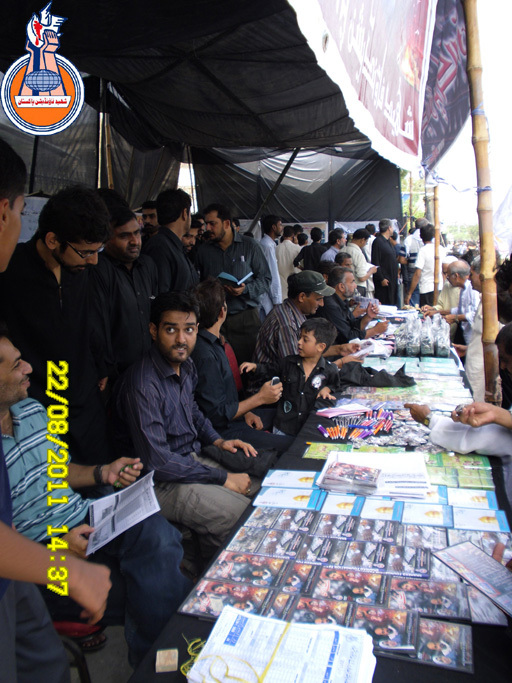 Shaheed Foundation Pakistan arranged exhibition of Shohada pictures and various Sanehat details on this occasion. 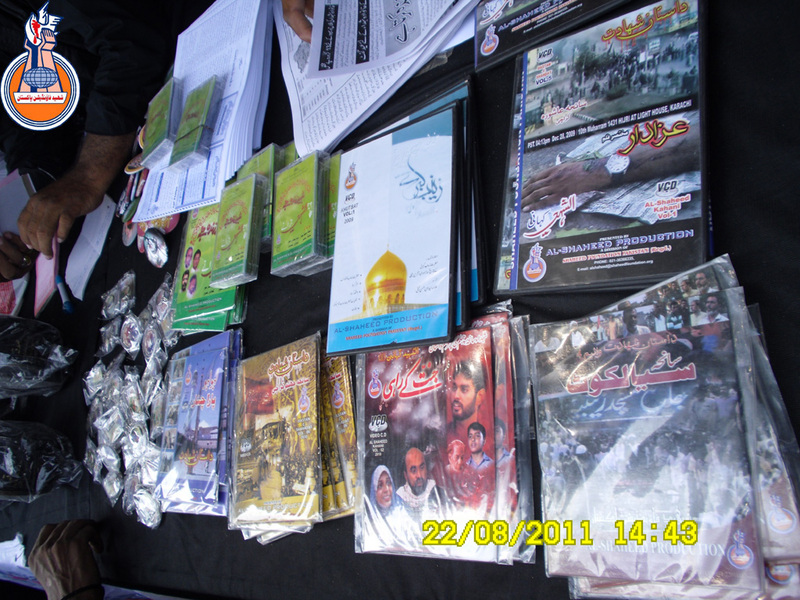 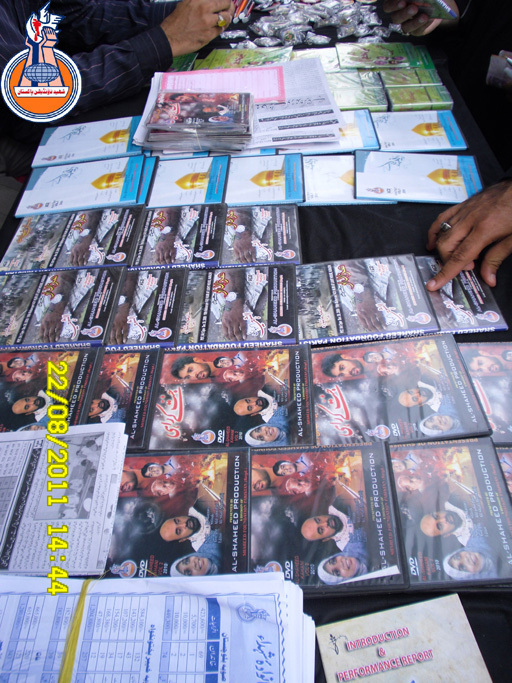 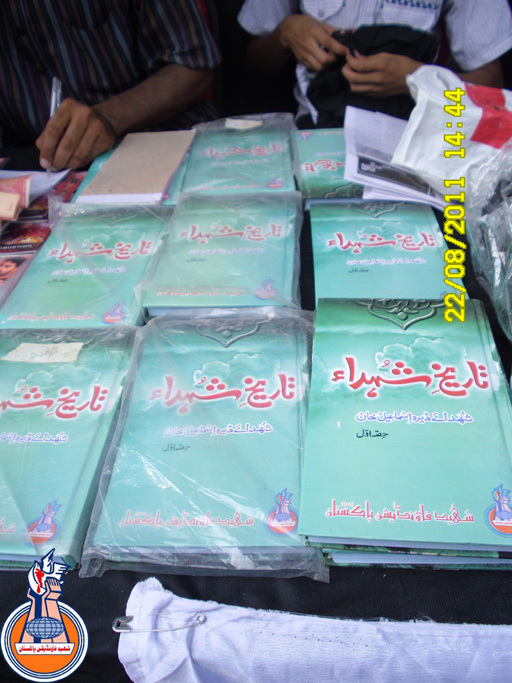 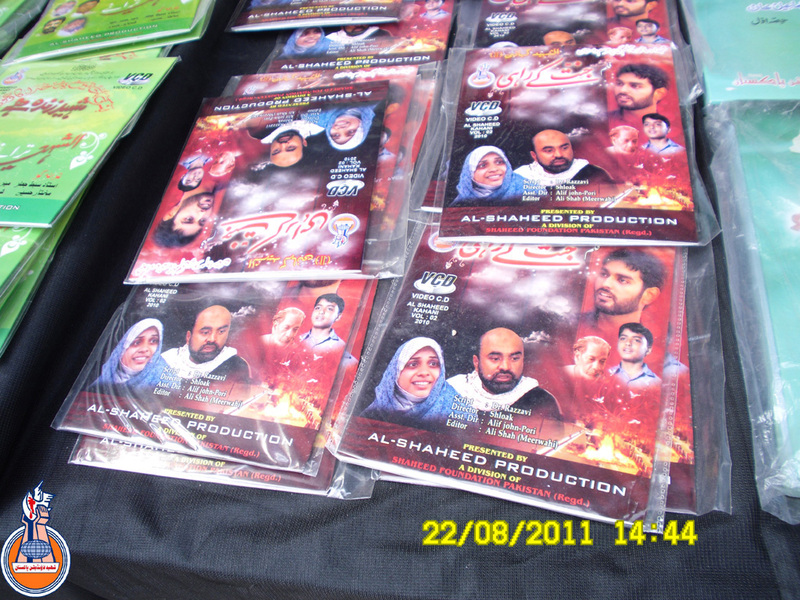 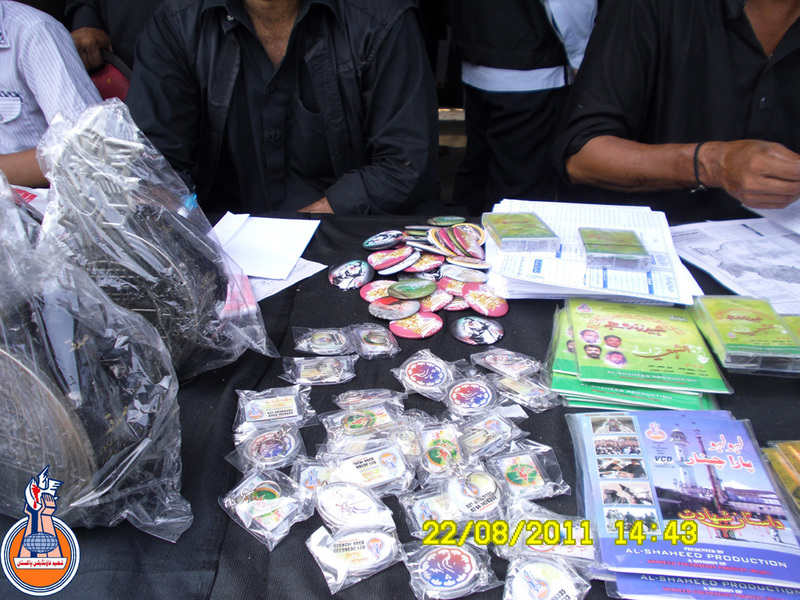 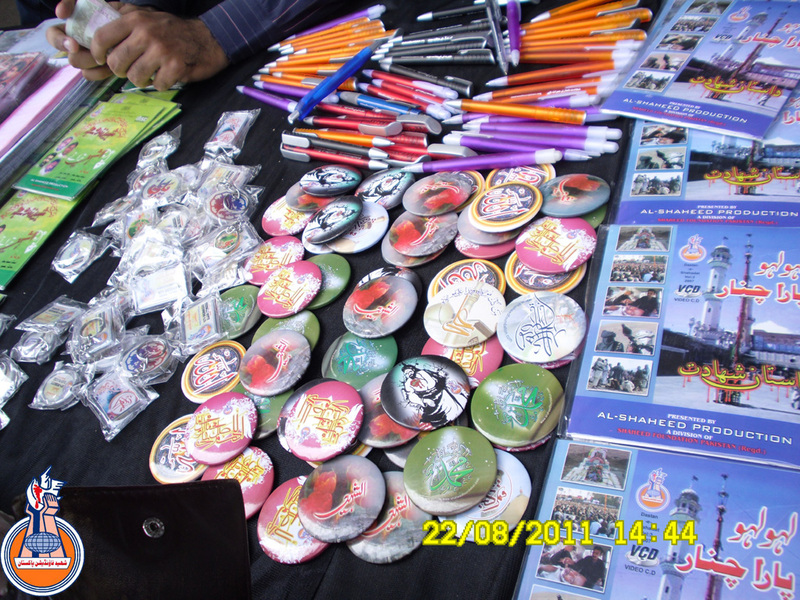 Shaheed foundation also exhibited different products of Al Shaheed Productions like pens, badges, photo albums and VCDs of documentaries, short movies and SFP Taranas. 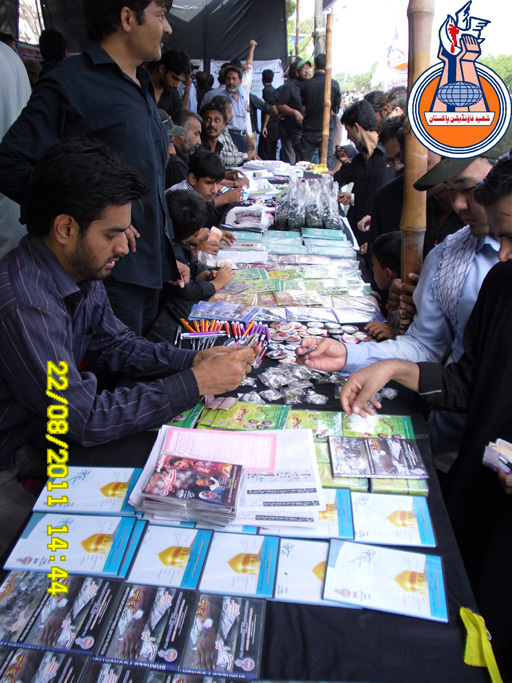 Momineen and Ulema-e-Karam visited the stall and took keen interest ,appreciating the propagation of message of Shohada and Islamic Culture. 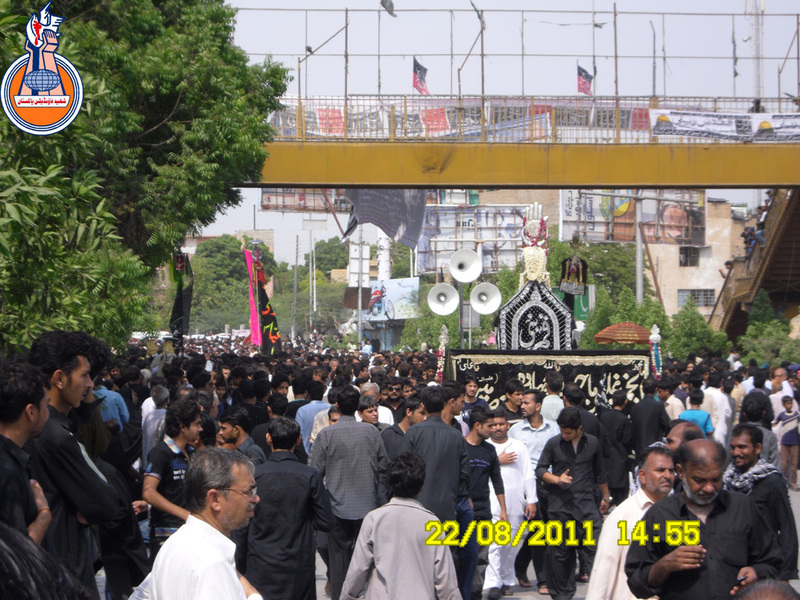 With the blessings of Almighty Allah, the procession ended peacefully at Hussainia Iranian, Kharadar ,shortly before aftar, where various organizations ,anjumans and individual momineens had made excellent arrangements for Tea ,Water ,Juices ,Date fruits and other eatables for Aftar of momineen.